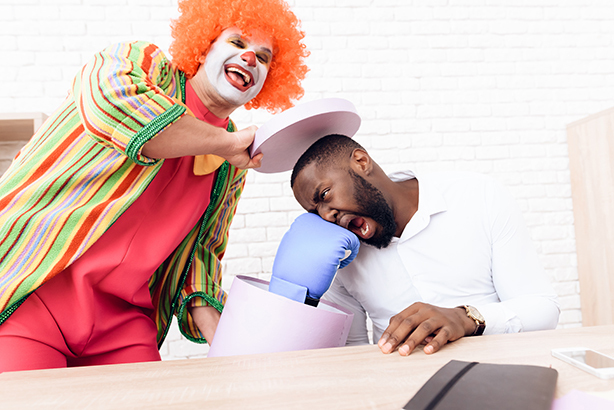 PRWeek sent out a survey last week about whether brands should participate in April Fools’ Day campaigns, asking if they’re just good fun and help brands or could possibly hurt. I never fully understood April Fools’ Day when I was growing up, likely because I was a serious and very sensitive kid. I think I only started truly liking it a few years ago, when my dear friend and client Monica Lewinsky emailed to say that upon lengthy reflection, she decided to do a celebrity dance reality show. When I read her words, my heart plummeted. Her TED Talk about shame, delivered just weeks before, had been a massive success and her speeches and writing were receiving incredible attention for their powerful messages about how people treat one another. As her rep, I have turned down countless offers from reality shows, including a pseudo-Winter Olympics one that would have had her ski jumping. Her rationale for accepting? It was a fabulous opportunity to learn to dance. I composed a polite reply that explained why, after she had worked so hard, I thought it was not a great idea. She wrote back, of course, saying "Happy April Fools' Day!" This was not the cruel, humorless April Fools' Day jokes I suffered through when I was a kid. This was genius. And if any of you saw Monica cracking up John Oliver a few weeks ago, you know she’s very funny. I believe brands should participate in April Fools’ Day campaigns only if they are meant as jokes that people believe for a moment. Case in point, the campaign my agency created last year on behalf of our client Wag!, the on-demand dog walking, sitting, and boarding app. After much hilarious brainstorming, we decided to play off of the much-loved notion that pets and their owners look alike. In partnership with GlamSquad, the on-demand hair and makeup app, we offered services for dogs and their owners to get styled together to look more like each other. We used two dogs that had similar hair to two models, one with long silky hair like an Afghan hound and the other who had black curly hair like a black mini poodle. We wrote a release, created a lookbook of styles, and pitched it to the world. The media loved it and, as we’d hoped, some covered it as if it were real. It was named one of the top 2018 April Fools' campaigns by outlets such as Time, was widely covered (including the Washington Post and USA Today), and received over 306 million media impressions. A perfectly executed April Fools’ joke is one of the few times a brand gets to enjoy a joke with a consumer; a connection akin to meeting a new friend or potential partner who gets your humor perfectly. April Fools’ campaigns are great for brand elevation, but only if they are clever and original. They must not offend and it’s vital that they not go against a company’s brand identity. Wag! is about making dogs and their owners’ lives more convenient and happier - just like the faux in-home pet and parent styling package would have been. That’s why the campaign worked. To state the obvious, an airline should never do a Brace for Impact April Fool’s campaign. But since I tend to be very serious, I checked with my team. They all agreed, and not just because I sign their paychecks. It wasn’t a joke, it was a brand promotion. You can actually order it. Dunkin isn’t going to lose business with this promotion. But I’ll venture it hasn’t deepened its connection with customers who love their coffee, as is, for its great taste. The April Fools’ campaign I love most this year is the HyperX Cup MIX-Ins. You haven’t lived until you see the headphones that are Cup O’Noodles holders with a "mikephork." As the step-mother to a video game loving, Cup O’Noodles obsessed 13-year-old, this hit the genius button. And the coverage has been dead on in outlets such as Hypebeast. I’ll definitely consider Nissin if I need headphones in the future. Some creative and clever folks are making decisions at that company. My advice is to find the youngest people in your office and test your April Fools' idea on them. They’ve seen every meme and if they don’t crack a smile, you’re toast. Be original. Be bold. Be unpredictable. Be on brand. Make audiences think twice about whether it’s real. And above all, be funny. This is the winning formula for April Fools’ campaigns. Dini von Mueffling is founder and CEO of Dini von Mueffling Communications.